Leicester and England flanker Tom Croft is facing a race against time to be in time for the World Cup. Croft, who was on the bench for England's first three matches in the Six Nations, dislocated his shoulder against Newcastle on March 8 with the injury needing surgery. 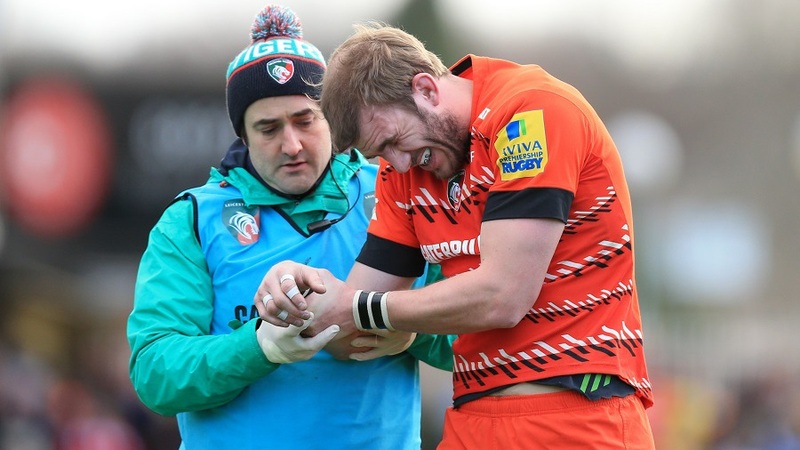 The Leicester Mercury reports Croft now faces a spell of between four to six months on the sideline. That time frame rules him out of the rest of the season and he will also face an uphill battle to prove his fitness to the England coaches as they weigh up their 31-man World Cup squad. England begin their World Cup preparations in early July and will then journey to Denver for a training camp there. If his recovery falls on the four month side, he should be back in time for the start of their World Cup preparations. The news is a bitter blow for Croft as he is no stranger to injuries. He was out for nine months in 2012 after fracturing a vertebrae in his neck and then, after a successful tour of Australia with the British & Irish Lions, tore his ACL at the start of the 2013-14 campaign. He has also needed a knee operation this season.